Bright and Hopeful we remain now in VICTORY ! Become the victory of Allah and opening soon. كل من يمثله هذا العلم و هذا النشيد يقوم بمشاركته في صفحته . 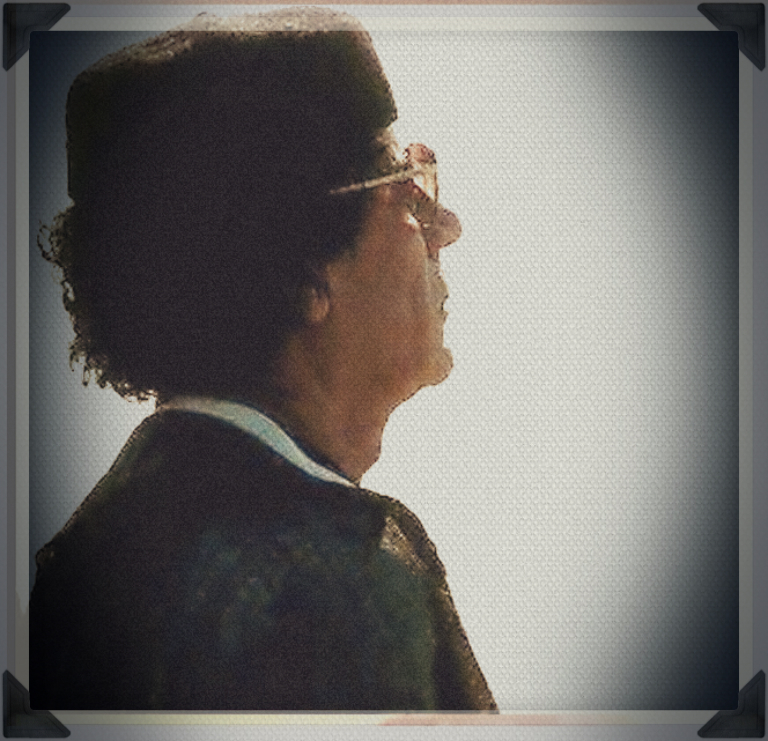 Song: “Nahbuk, O our leader in our hearts” by the artist Khalifa al-Zletunai. 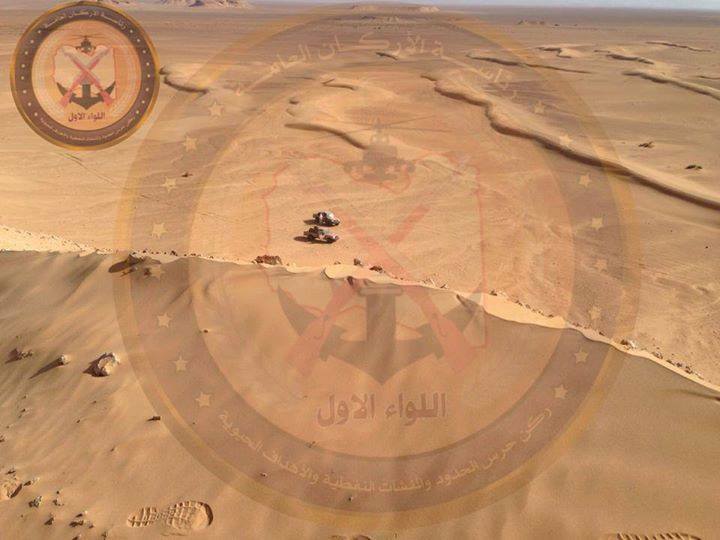 Egyptians and Tunisians coordinate a new military operation in Libya. ‘News Libyan resistance and heroic crimes and scandals of NATO’ a téléchargé une nouvelle vidéo. 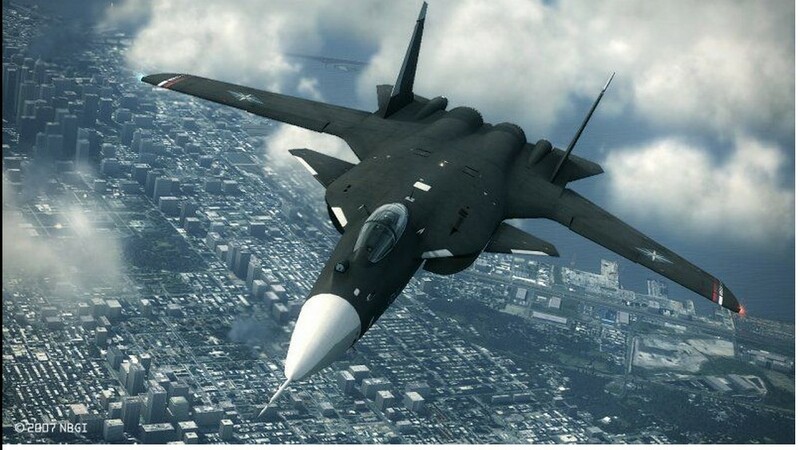 NATO COMING INTO LIBYA AGAIN, by FORCE, through a request by al-QARADAWI !!! * Population 6,300,000 (six million and three hundred thousand people). * The number of people in need of humanitarian assistance 2.440000 (two million, four hundred and forty thousand people) one-third of the population. * The number of people in need of humanitarian aid women and children 1.350000 (one million three hundred and fifty thousand children in Samarra). 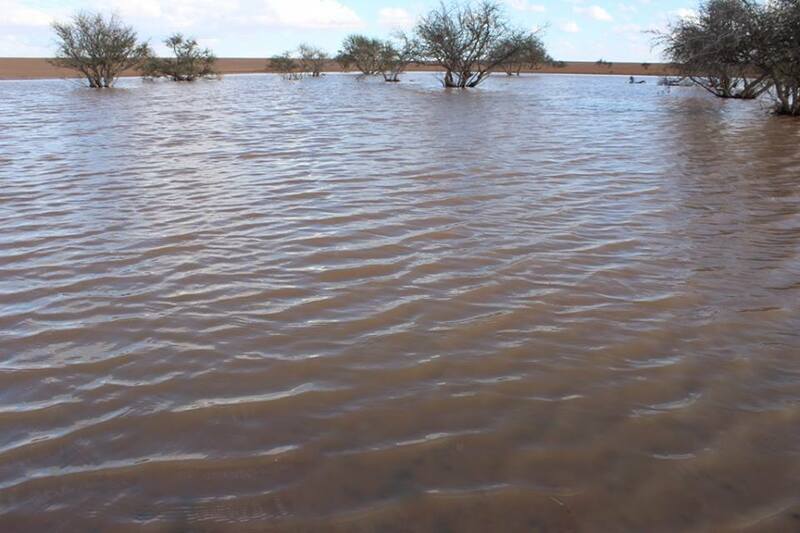 * Displaced 430000 (four hundred and thirty people displaced) Dlkhal Libya, of whom 269 000 displaced people in western Libya, and 125,000 in eastern Libya in mid-year 2014. * 100,000 displaced people living in the open or in schools or abandoned stores. * 86% of the displaced have lost their identity documents. * Immigrants because of the conflict of 150,000 (one hundred and fifty thousand immigrants) outside of Libya. * Demanded asylum and Allajaian 100,000 (one hundred thousand refugees and asylum-seekers). 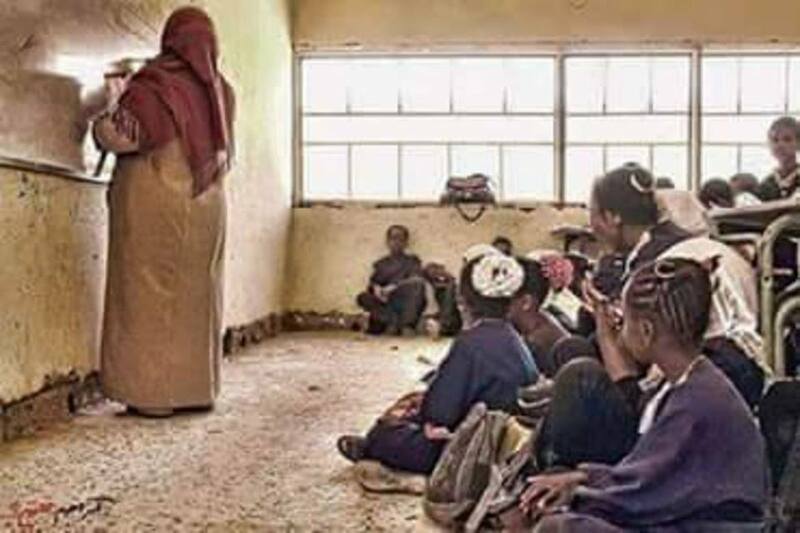 * 73% of the schools can not access them pupils in Benghazi. * 150,000 pupils at risk of deprivation of any school by 20%. * Burn universities, airports and hospitals. 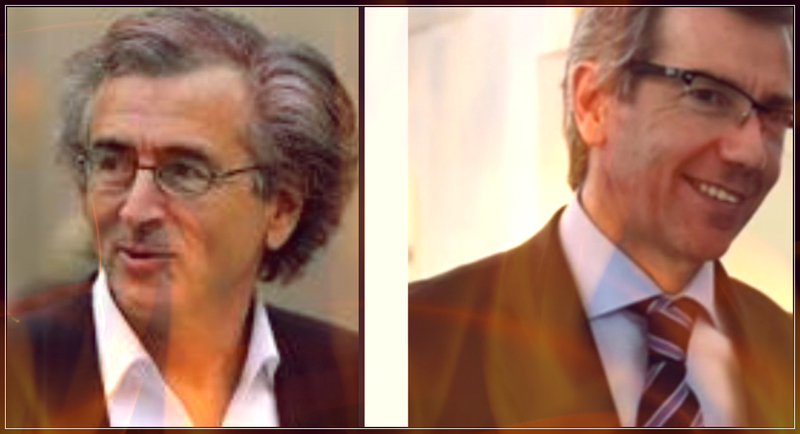 PICTURE ABOVE: Bernard-Henri Levy, and the Libyan ‘GREAT JAMAHIRIYA’, which he helped destroy. 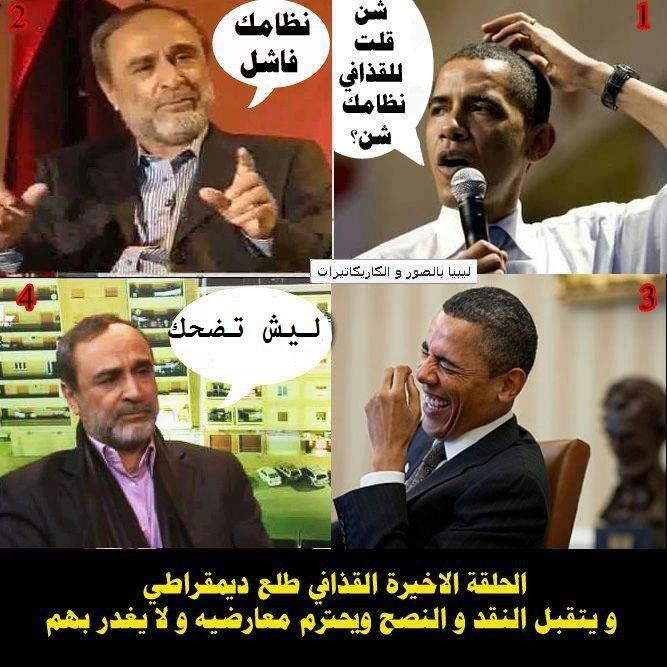 and this, these ‘RATS’ blame on Mu’ammar al-Qathafi (and not on themseves or NATO) !! Stay tuned for the end of the series-of the ‘Jardan Libya Championship’. Allah the reverence and quiet and tranquility ..
Salemoly at Mu’ammar‘s important ‘Conference on the Rebels and government Rebels’. PICTURE BELOW: Showing Mu’ammar al-Qathafi speaking at his important ‘Conference on REBELS’, and the pictures of the two RATS (CLIENTS OF NATO) who were listening at the Green ‘Conference Hall’ that day. We have the important information and the movements of suspicious securities and Implications. Taken it and the point of view of people about this person that’s what concerns us. Aghtyh Ehna Nass Valley Ehna, universal principles of mass production, in 2015 channel owners. Nod for couscous this is not your seat this seat dampers requires. Men will not only understand the deep state. Libyan Airforce Warplanes (jet interceptors) fly over the sky of the city of Tripoli. UPDATE: VICTORY upon the RESISTANCE! ﻫﺮﻭﺏ ﺟﻤﺎﻋﻲ ﻟﻤﺎ ﺗﺒﻘﻰ ﻣﻦ ﻓﻠﻮﻝ ﺍﻟﻨﺎﺗﻮ ﻣﻦ ﻃﺮﺍﺑﻠﺲ ..
ﻗﻮﺍﺭﺏ ﻟﻠﻬﺮﻭﺏ ﻣﻊ ﺍﻗﺘﺮﺍﺏ ﺍﻹﻧﺘﻔﺎﺿﺔ ﺍﻟﻜﺒﺮﻱ ﻓﻲ ﺍﻟﺴﺎﻋﺎﺕ ﺍﻟﻘﺎﺩﻣﺔ ..
ﻭﻗﺪ ﻳﺼﺪﺭ ﺑﻴﺎﻧﺎً ﺧﺎﺻﺎً ﻓﻲ ﺍﻟﺴﺎﻋﺎﺕ ﺍﻟﻘﺎﺩﻣﺔ . ﺗﺤﻴﺔ ﻟﺸﺒﺎﺏ ﻃﺮﺍﺑﻠﺲ .. ﻭﺍﻟﻤﺠﺪ ﻟﻠﺸﻬﺪﺍﺀ . IT IS OCCURING AS I POST THIS ! 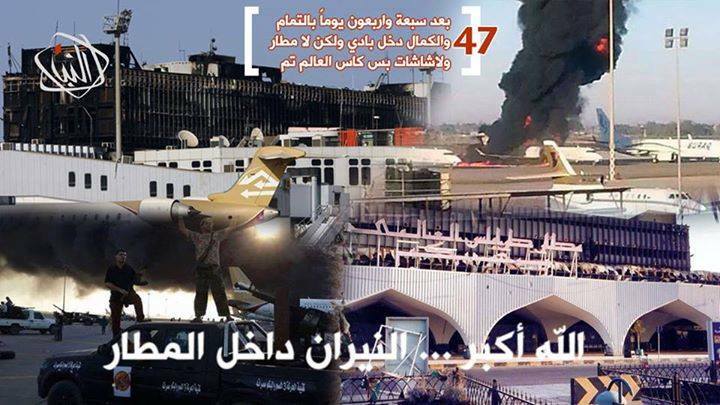 Exodus of the remaining remnants of NATO Tripoli ..
“Movement New Dawn” .. and that caused the state of confusion for the criminal enemies. 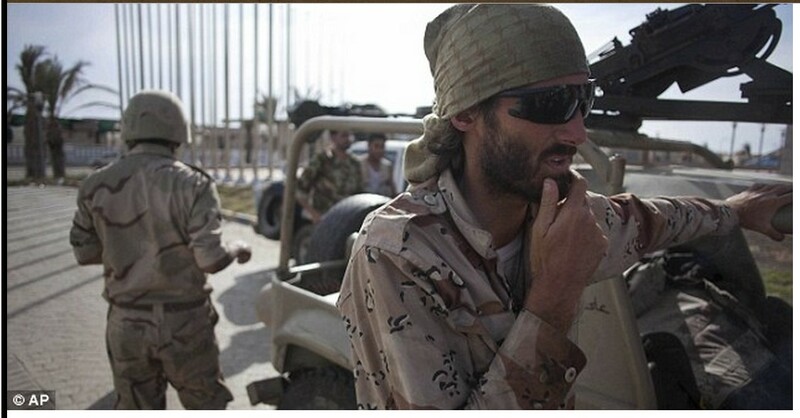 Agency reporter learned that many of the leaders of the gangs, which play in Tripoli, have already sent their families fleeing outside of Libya .. They are also equipped their cars and some of them .. Boats to escape with the approach of the great uprising in the coming hours .. There will be issued a special statement in the coming hours. 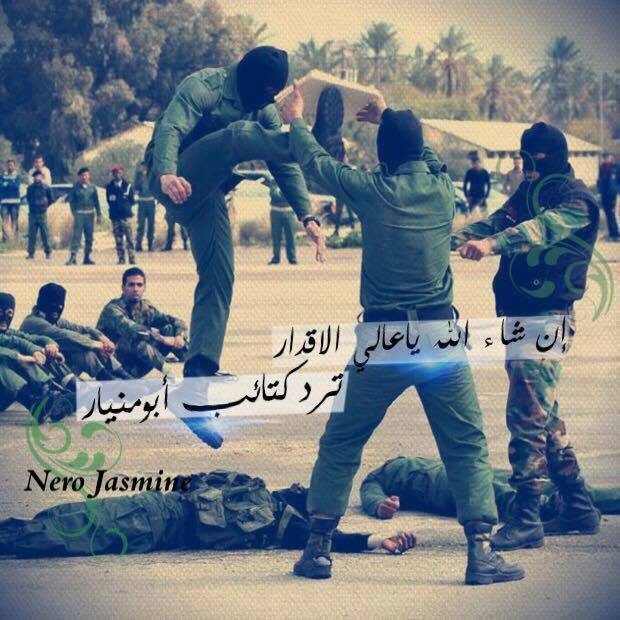 A tribute to the youth of Tripoli .. and glory to the martyrs. .. have time to act .. and flouncing. ‘Kikla militia’ kidnaps ordered ‘militia al-Obeiat’. 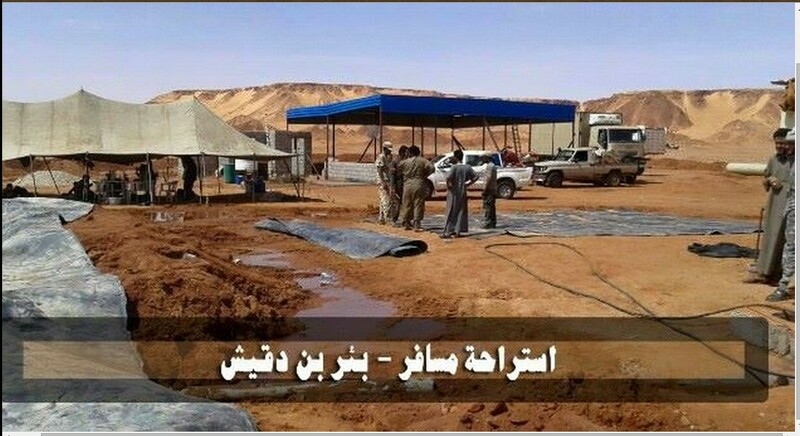 As a result, the closure of the main road, and there were burned tires starting from the Shell Gas-station in Got al-Shall, up to even the Got al-Shall ‘Island’. Cliff coastal road link between Tripoli and the corner. Clashes are still continuing between the Jardan and shut down through the Spring Valley container; and semi-complete withdrawal of militias of Misurata from Spring Valley area. 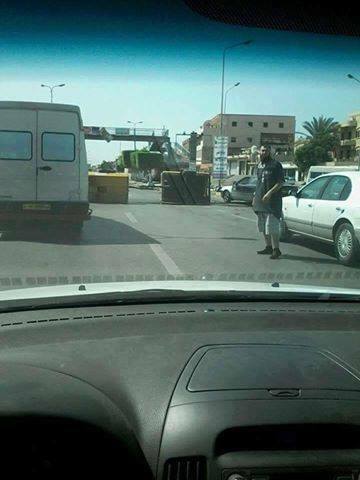 Still clashes between Misurata Melcaat and Haitham Tagouris now in Spring Valley. Achtbaaakat between MISURATA and Tajourah al-Daaaaira on the road Aagafaaaal. 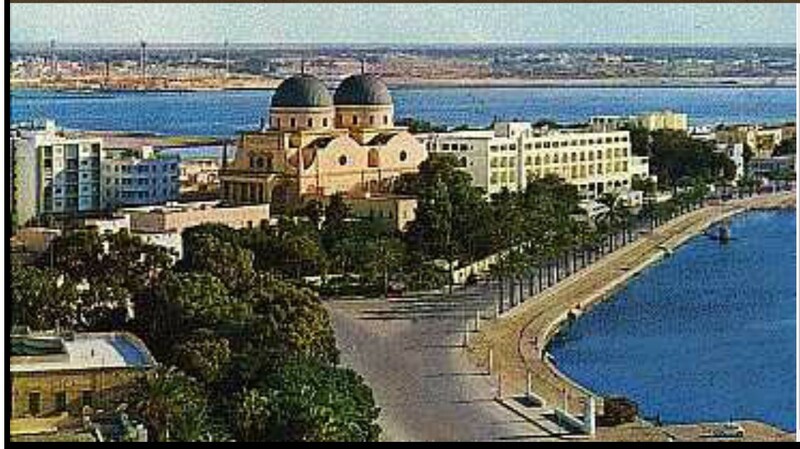 MISURATA before, Allah does not Terpgm Yafodhaowin, Iaquebh a lioness. 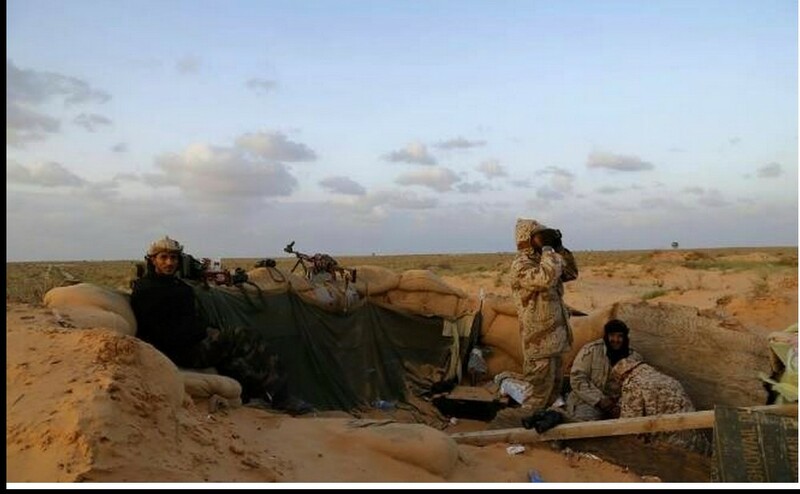 Clashes between Brotherhood Melcaat of Misurata, and the terrorist Melcaat Inventory of Haitham Tagouris in Ada al-Rabie. Found the body of a young man at dawn today in front of ‘al-Rayyan Mosque’ in the area of ‘Spring Valley’. There showed signs of torture on his naked body ! The body of a girl found dead near the reservoirs at the airport road. Spread to the gates of an inspection of the Melcaat Asamod and specifically ‘Cimafro Union Club’. 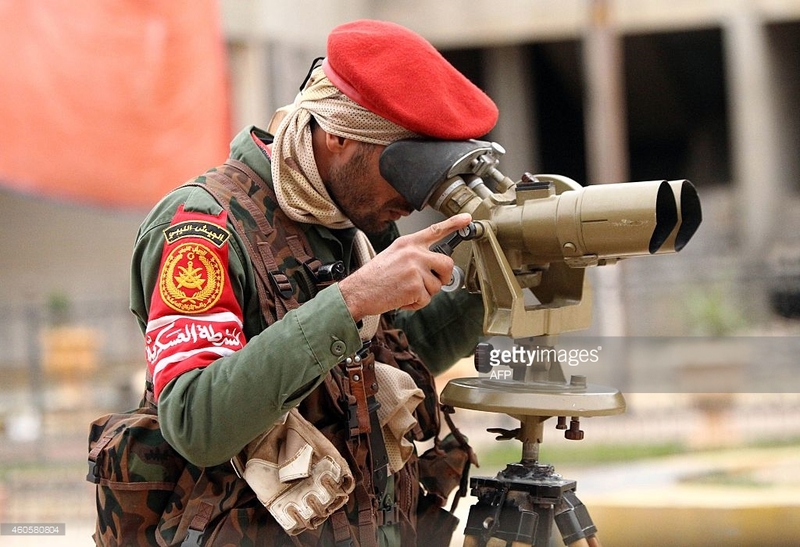 Campaign to capture the women in Abu Salim area by militias Inventory of (el-MAHDI HARATINE) Akkla Gianni Gneoh; so, he has been preparing a list of liabilities. the day of killing two young people in Abu Salim. They were killed in the previous number of 4 persons intentionally and was imprisoned in a time when their uncle directed from prison, for each operation Hdtt killed. .. Allah axes victory over the traitors and agents and extremists. Shooting sounds heavy and medium weapons near the prison al-Ruyemi in Ain Zara area in Tripoli. 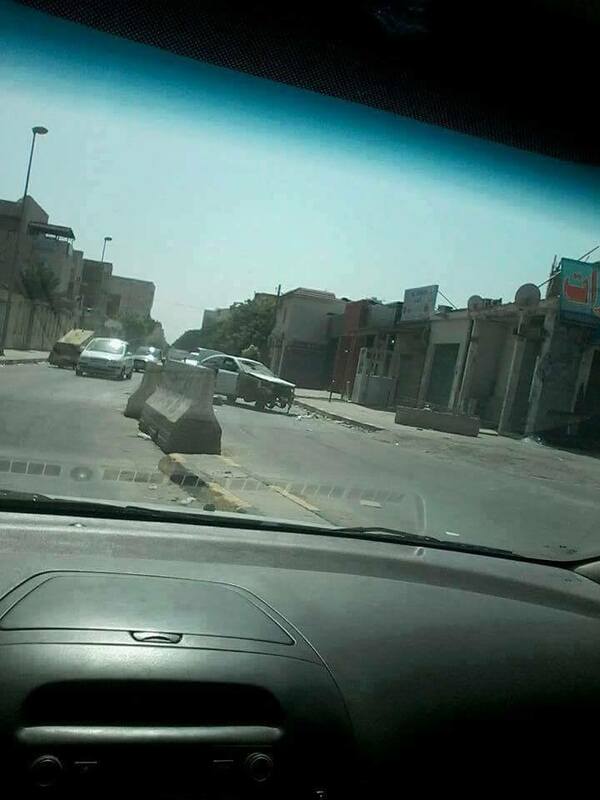 Terrorist militias of Misurata, close to the road coming from the direction of east to west and a large congestion near the bridge plaza. 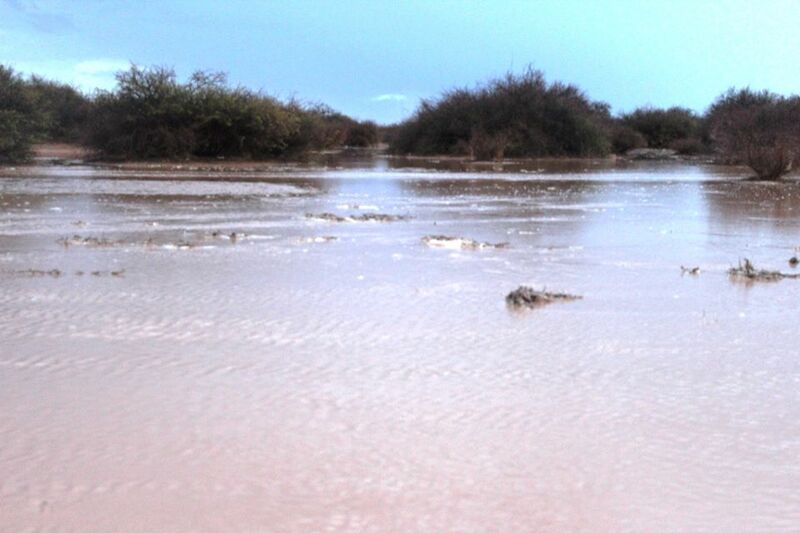 “Melcaat Inventory named ‘Abu Obeida’ “ shoveled the coastal road in protest, at the arrest of the most dangerous elements by one of “Soeria loa Rishvana al-Askarah”. and kidnaps passing of the sons of the tribe of Rishvana, by inspecting their identities. 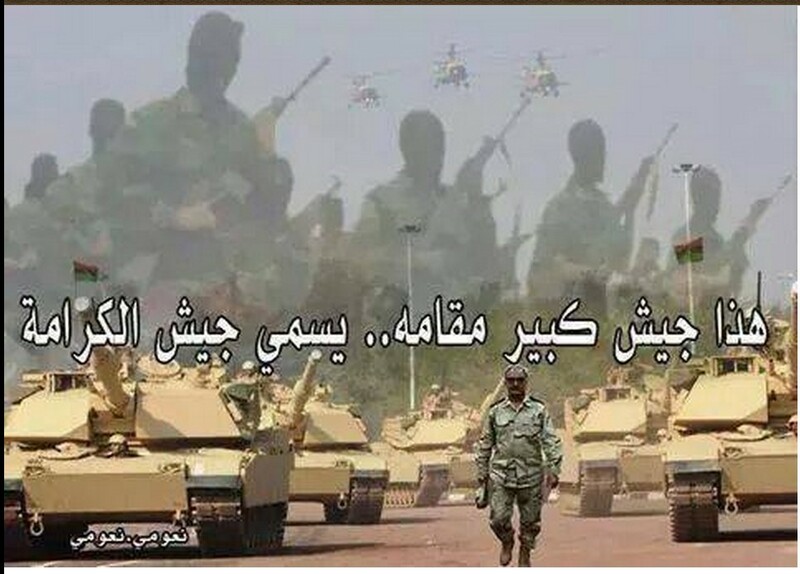 Corner and the situation is tense because of the killing of a guerrilla al-Hanih in corner on the conviction street and another Moroccan nationality named Khaled marketed in car 106 and contributed to the attack on the homes of El Khadraoui. ‘Inventory Khalid’ killed yesterday, of Moroccan citizenship and a guerrilla Hanish, killed by militias at ‘el-Khadraoui’ in corner. and there are gates to ‘militias corner’ near the ‘fuel-station Jodaim’, where the militias are arresting everyone from Rishvana. 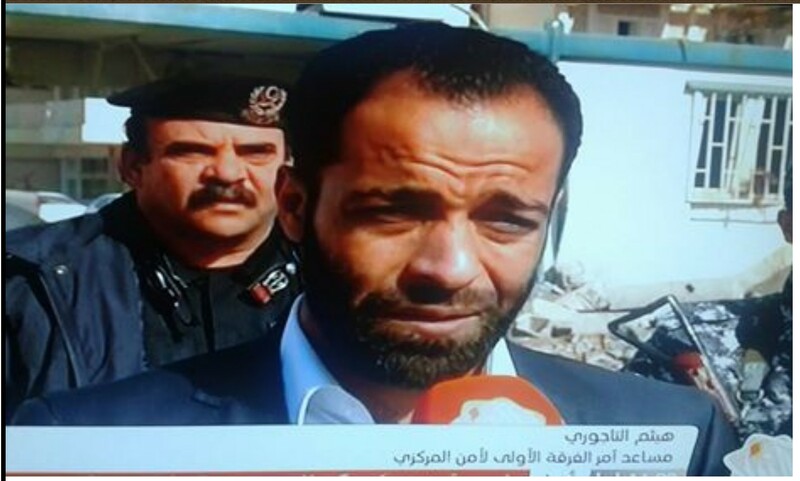 Melcaat of Janzour kidnap identity ‘Haj Amahdi al-Hnasci’ from inside his home in Janzour. He is an old man Amra exceeded the 60-year. 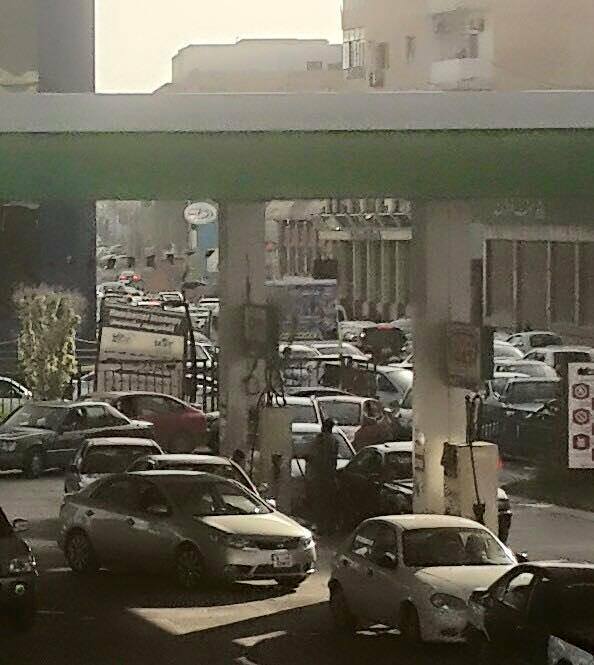 Congestion at the gas-stations in the capital Tripoli. Congestion Most fuel stations in Tripoli after the closure of the coastal road link between the corner and Tripoli. 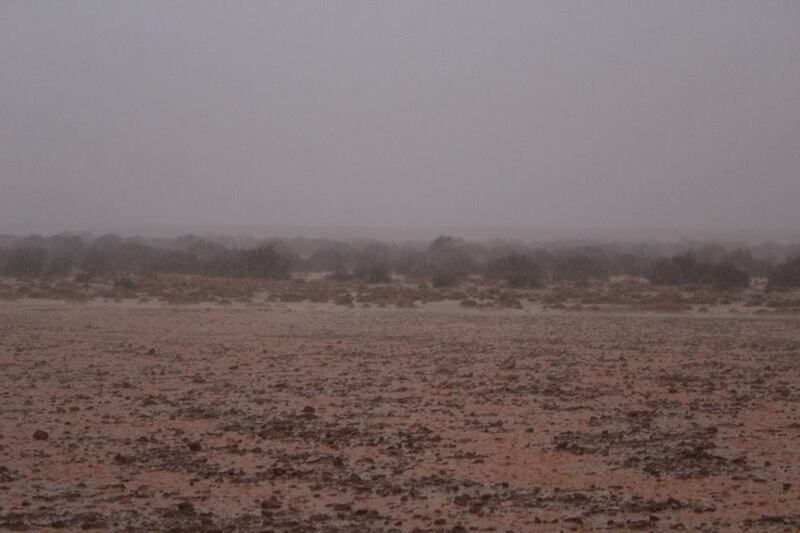 Report: thanks crumbs considered all the roads to the west of the mountain safe without the excesses of an extension to the city of Ghadames. 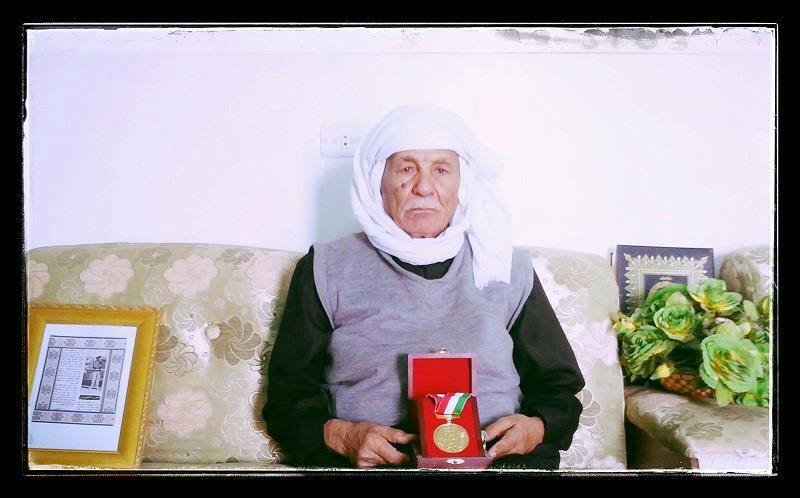 but it is submitted Mabrouk Abdullah Amsik, Gmadar of Ubari, born at B.al-Zintan in 1932 AD, He joined exhibits the police in 1951 and then completed his studies in the same field, enrolled at the ‘Faculty of police’ in 1953 for graduate officers, “Berthier lieutenant-Thani”. He then, received courses which helped also in receiving a ‘crash course in the headquarters of Interpol’, the international police Switzerland, and included in the wire police that arrived at the rank of ‘lieutenant colonel’. In 1963, he became ‘Gmadar’ at Ubari, which was officially of the ‘Libyan border security on three axes’ (Chad, Niger, Algeria). and he was invited to the independence celebrations; and was greeted, by warm welcome, enventured by the editorial leaders of the Algerians. He has also been honored by President Abdel-Aziz Bouteflika, who awarded to him ‘the Order of jihad’. 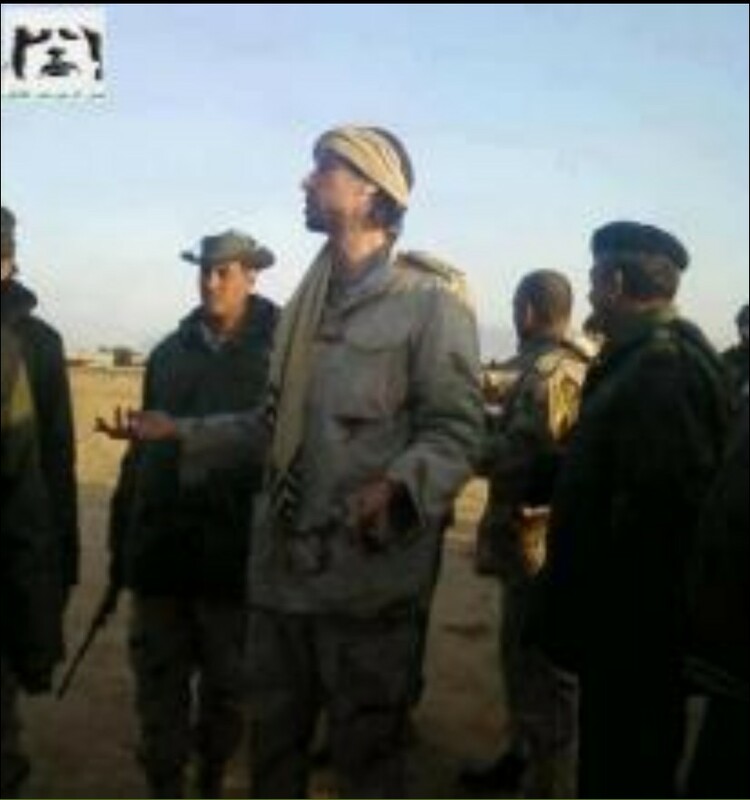 Haj carp Amsik has been accountable for the camp of the ‘rebels Algerians in the south of Libya’, where he was accountable for their own security, as well as supplying them with weapons. and Supply and accompany them in their movements in the desert. The fact that he knows all the details, submitted carp Amsik (who participated in the ‘battle of Essien’) and has recounted his testimony. “if not percolated Libyan blood will not be liberated Algeria”. After the 1969 coup, all police officers were suspended from work, by the ‘stop action hero, son of Libya, ‘bar Haj carp Amsik’. The fact that a good family in Ubari, which remains still his loyal people; so far have, in Gulwehm, love and respect, that is unmatched for the ‘pilgrim carp Amsik’, aswhen they knew him from the tournament, and his dedication for order in the home and family. Recently, he moved back hometo the city of Zintan, his birthplace, to settle-down, and become one of the elders, who claim to always find them and working on the unity and cohesion, and renounce grudges, with reformer Bchoca, who loved all, worked as a midwife, and met him. Media archive of ‘Omar Ma’touq’. Port Mizdah bringing-in thousands of Israeli Jews over 16 years of age, and a Jewish aunt. They apply the verse (Smaon to lie consuming wealth unlawfully) ratified the Almighty Allah. while checking for identities, by gateway military police at gate Tallil. He took a group of invited “Sharon” a set of archery. Liberals and news about the death of “2” of the brave members of our forces. and, shooting very dense near the city center. Image of the martyr, God willing, ‘Adnan Zhaf A Qguat al-Kabbali’ and employees, who moved to the mercy of Allah, after a shooting (two days before the treachery) at the new west gate in AJEELAT. Vote now shooting 14.5 b in New Area. Arrest of 13 Tunisian and Algerians belong to the terrorist organization ‘Daash’ in Beautiful City. 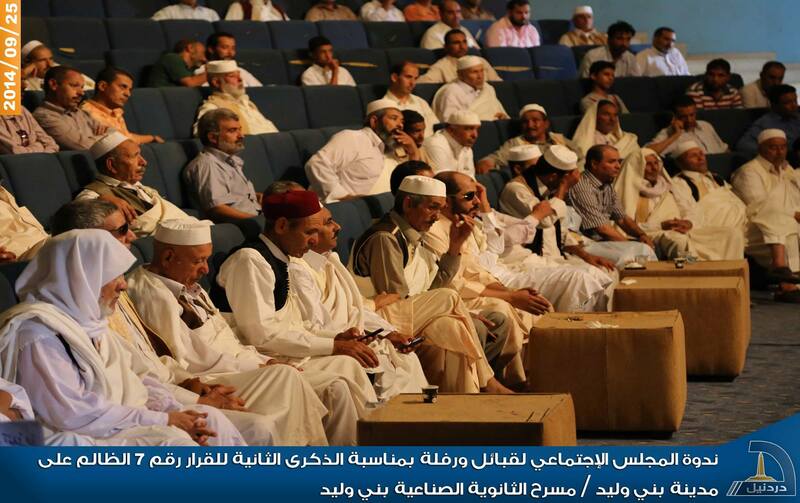 1. claim to postpone the convening of the General Conference of the Libyan tribes and cities to be held in Suluq to a later time to be given an opportunity for all national social components to participate and contribute to the preparations for the conference and work. 2-formation of a “preparatory committee” for the ‘Conference’; so, that all the national fabric involving away from quotas and regional political. 3. 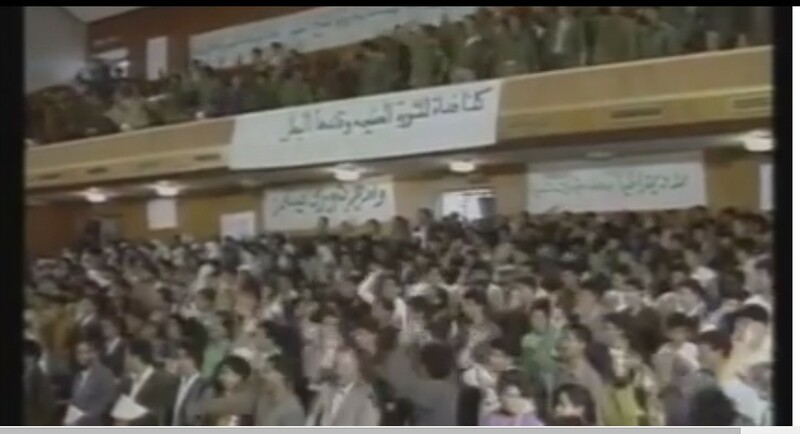 The General Conference held, under the slogan: “nor Shi home is a home away from each” Titles do not matter for the rats’ ‘DAWN LIBYA’. But the dawn of the nation and true dignity ..
4. 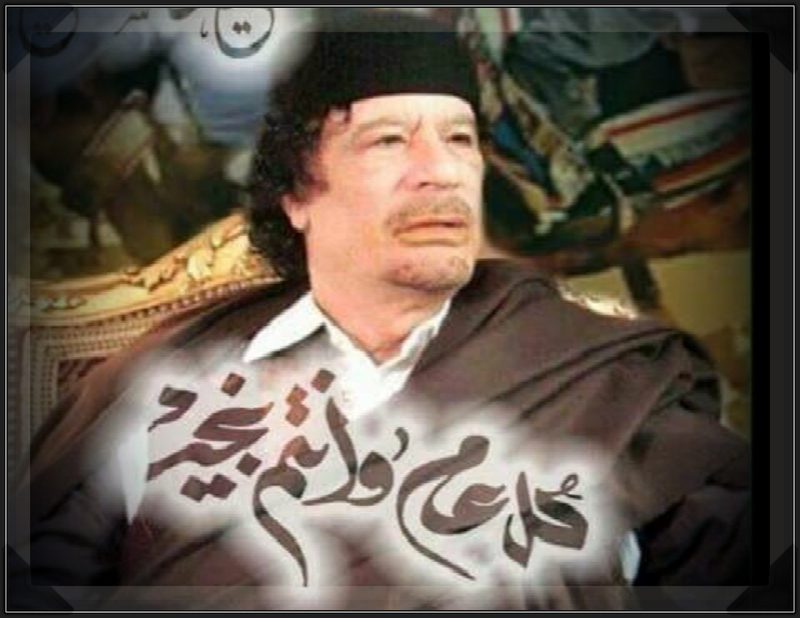 This rescued nation, needs to map clear plans Thoroughly, in accept all Libyans issued by the Libyan tribes and cities. “the city of Bani Walid announced not to participate in the Conference in its current form” at Suluq (extreme EASTERN LIBYA) !! * are expected to attend 3-thousands of participants. * And will include participants from all over Libya, with the small exception of support for the tribes backing «Dawn Libya». And that the delegates had come from various parts of Libya since Sunday, into the town of Suluq in the far eastern portion of the country. Exit military aircraft and training aircraft and a helicopter shortly before the air base. Found yesterday the body of ‘al-Mbrok Juha’, bearing signs of torture, after he was kidnapped by one of the members of the ‘militia Faruq’. An armed group belonging to the terrorist organization ‘Daash’ kidnapped young man named ‘Ali al-Garishh al-Maadana, at the Housing neighborhood, N° 3, on Thursday; but we do not know the reasons for his abduction. 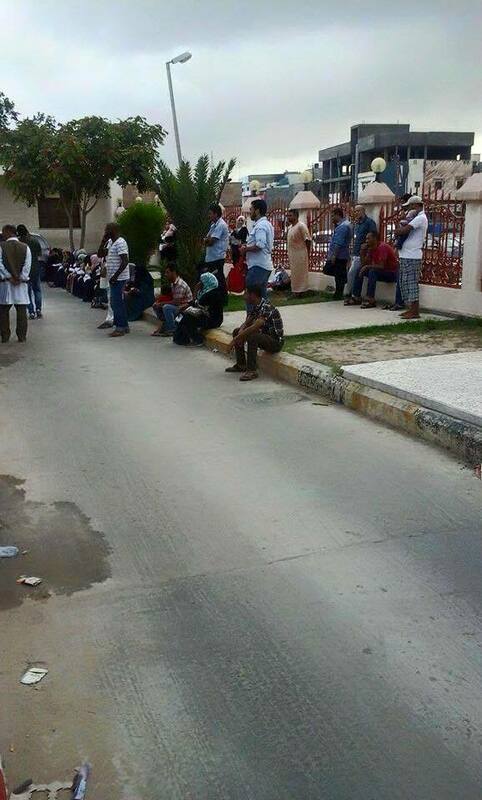 Still families out of the city of Sirte limit this al-Dharov today, because of where you live in the city, can be arrested by the Kharijites. 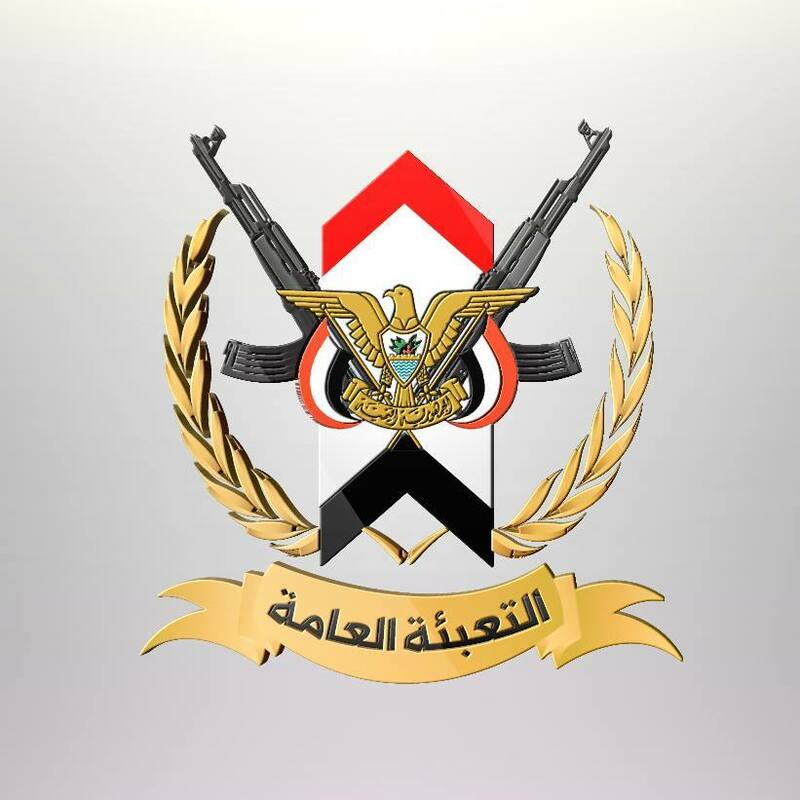 ‘Daash’ terrorist organization arrested citizen named Mamed Mamn al-Maadana Saleh Amr al-Mchaa of the population of the ‘residential area C’, after a raid on their house…. The kidnapping of Sheikh “Saeed Abdul Salam al-Maadana, (a tribal notable of the Ma’dan) at the hands of the terrorist organization Daash, in Sirte. ‘Daash’ terrorist organization broke into the homes in the ‘neighborhood and No. 3’ continuously capturing and terrorising the ‘neighborhood youth’. and then killed the drivers of the trucks! 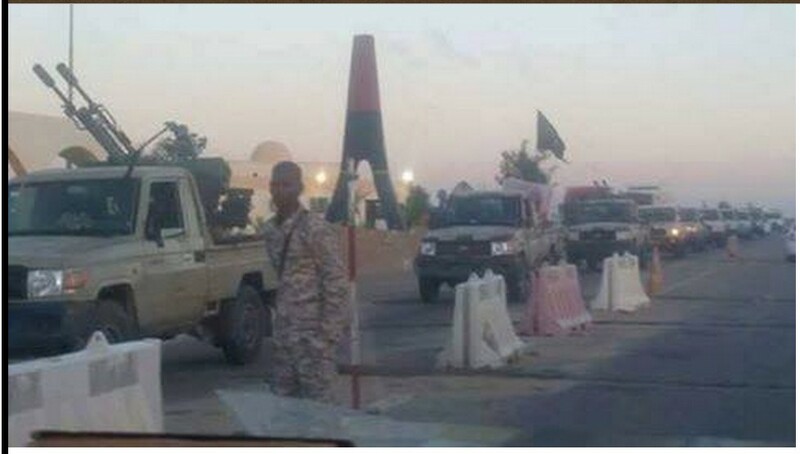 The arrival of a convoy of the armed group Boko cross through the city of Dan (al-JUFRA), to the city of Sirte. Exit armed convoy belonging to the terrorist organization of ‘Daash’ of the area towards the back Middle Hahanatq, which consists of carrying heavy weapons, and vehicles and lobster defender al-Hauser. 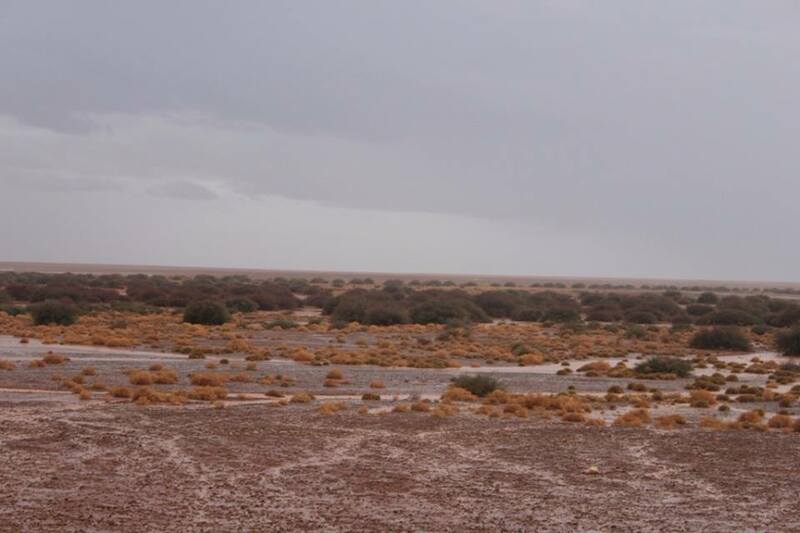 Organization «Daash» now dominates the industrial river water system at Sirte, central Libya (GMMR SYSTEM). 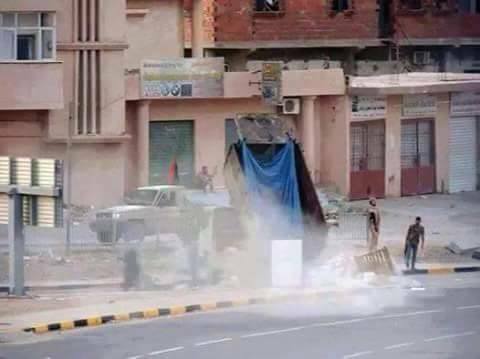 ‘Daash’ terrorist organization closes the gate 50 since early in the morning and out prevents residents from the city of Sirte from leaving ! and only their men are allowed to enter. The killing of a member of the ‘Guard Oil Installations’ service, after an armed attack by ‘DAASH’ at the gate of Port Sidra. ‘Ismail curious’, citizen, was arrested by troops in the ministry of ‘Sidra gate’ belonging to the ‘Guard Oil Installations’. 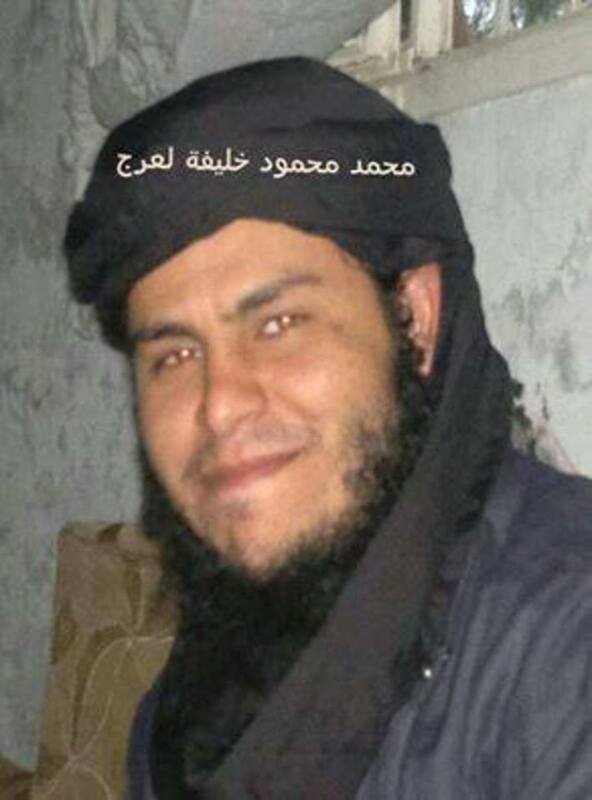 and found the body of ‘Hasin Hamd alSgar Amora’ of Ras Lanauf’s ‘Valley Ogalh‘ shot dead. Photos of ‘DAASH’ terrorist of Senegalese origin, who was killed at the gate of Port Sidra today. ‘Libyan Red Crescent’ found the bodies of 95 migrants on Libyan beaches. 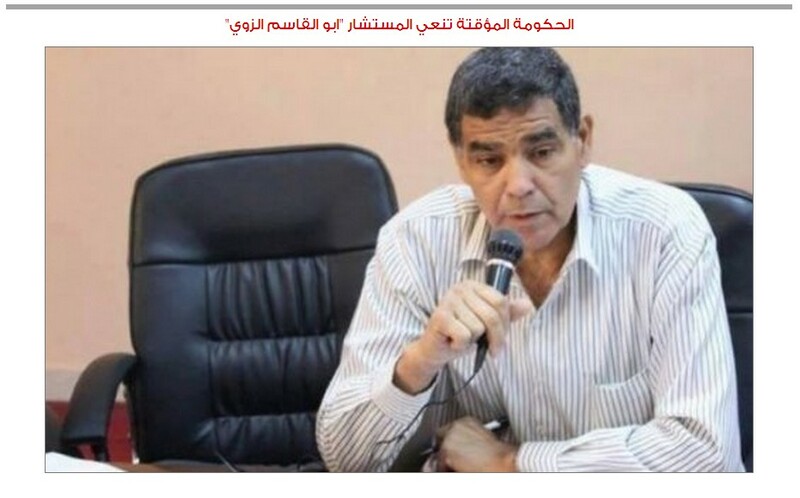 Mohammed el-Daif a ajouté 8 nouvelles photos. 1) An armed group assassinated citizen ‘Ahmad al-Losaq Azwai’ (Nasser Boubacr Osaq) in front of his house. 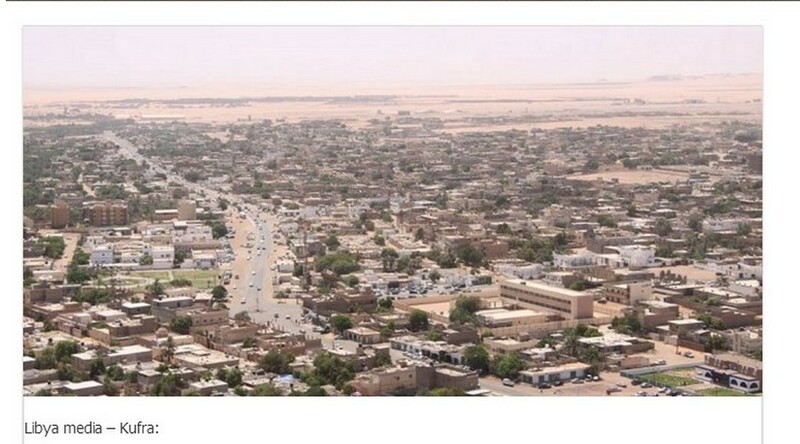 Gunmen fired on Friday, assassinating ‘Sheikh Abul Qasim Hassouna al-Atyosh Moroccan Sheikh Ahmad Badr cabled’, in the city of Ajdabiya. 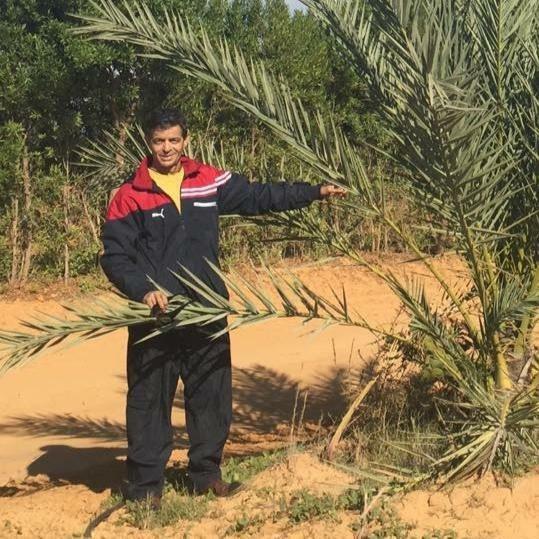 على الشيخ حسونة لاطيوش المغربي والشيخ احمد بدر الزوي بمدينة اجدابيا. 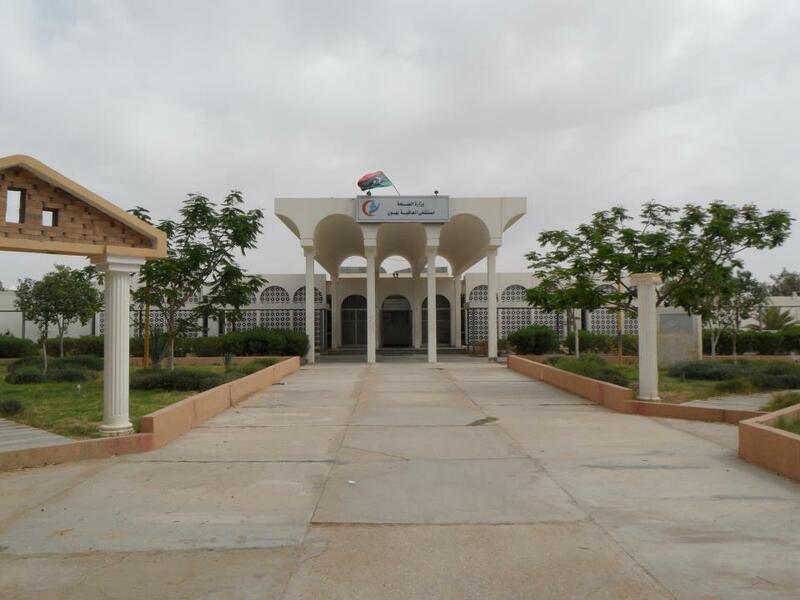 Epithet interim government, on Friday adviser “Abul Qasim sweeping cabled”, who was murdered two days ago in the city of Ajdabiya # at the hands of unidentified gunmen. The government in a statement expressed its sincere condolences to the family of “cabled”, and his colleagues from civil society activists in Libya. Gunmen fired volleys of bullets at the cabled adviser as he left a mosque in the city and fled. Advisor “Abul Qasim cabled” was a human rights activist and president of the civil society organizations in the Ajdabiya. The government said in the obituary that Chancellor cabled “joined convoys to our innocent martyrs …. 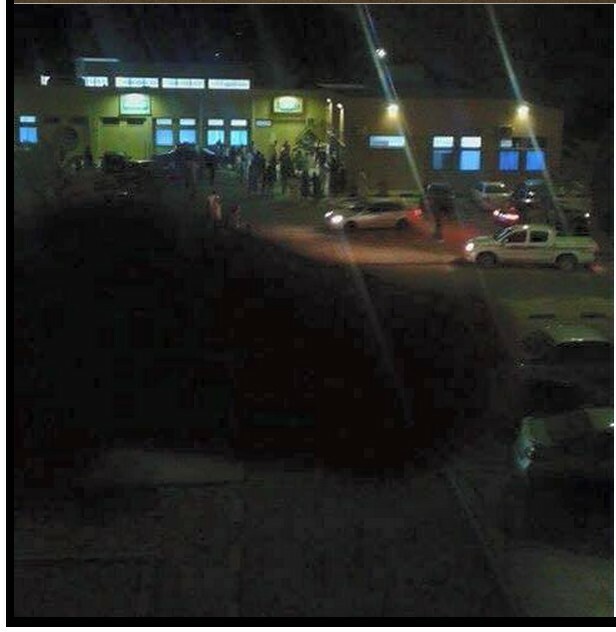 A security source in the city for “24 News Libya” that gunmen were aboard the car type “pocket” shot on the ‘Moroccan cabled’ soon as they came out of the ‘al-Furqan mosque’ after evening prayers. The source pointed out that ‘the Moroccan cabled’ was taken to ‘Maqrif hospital in Ajdabiya’, and they are in a very critical health condition. In the same context, a medical source confirmed that ‘the hospital Maqrif in Abjadiya’, that Sheikh Hassouna al-Atyosh Moroccan died inside the care section, after doctors failed to save his life, for the large number of bullets that pierced his body. Violent clashes and shelling with tanks and missiles in the region of Laithi and Buatta. 4 __ father Tunisian Jendouba. 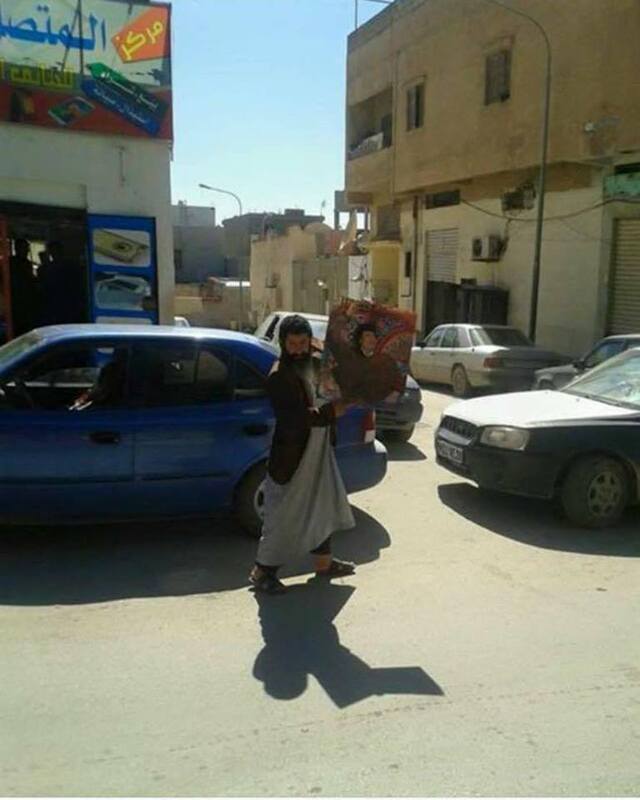 Violent clashes in the areas of Boatni and Laithi, with intensive bombing by Libyan Airforce warplanes. 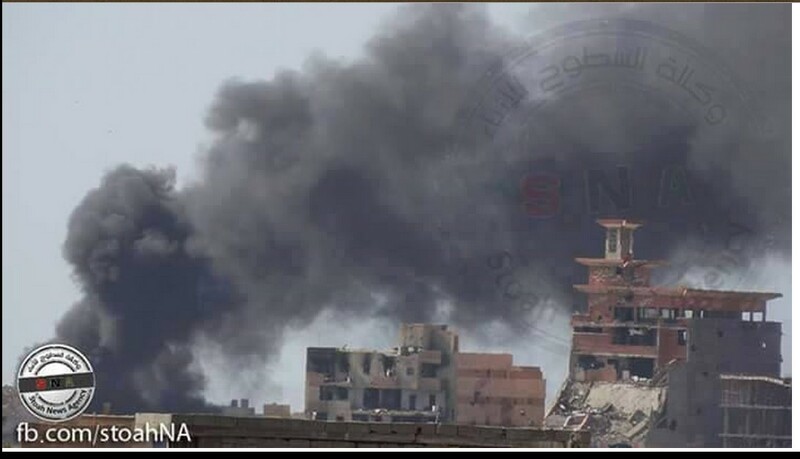 Clashes axis of Laithi now; and, the fall of shells in the zone of Gardens (far and material damage). 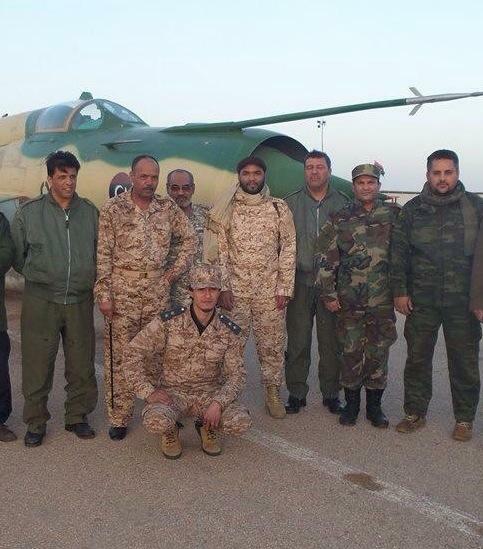 LIBYAN AIRFORCE Warplanes bombed Tmrkzac terrorists in the area of Souk al-Ihut. 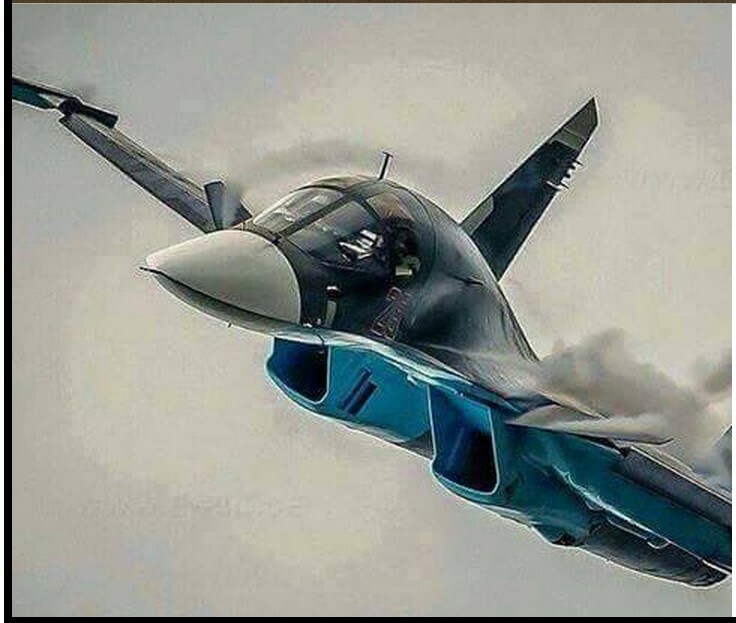 and the aviation bombed three bulldozers Mlaitan with WMD weapons and fighters, and has been fully Tadmarhn. Libyan Airforce Warplanes bombed three bulldozers vectors (belonging to) of Misurata, sent by the MISURATA ruling criminals to Benghazi. 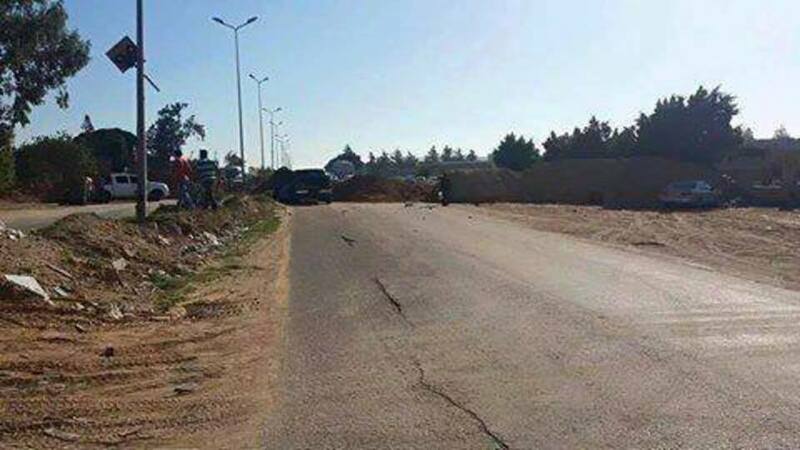 Mild earthquake hit the city of Benghazi and its environs. 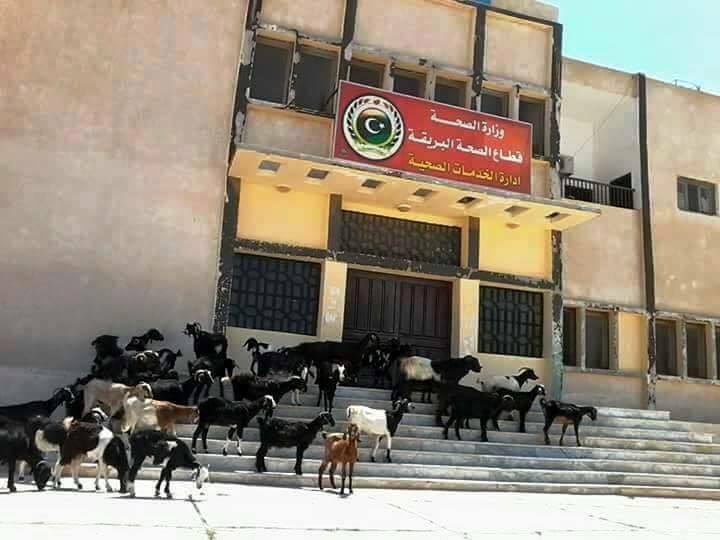 Lectures by Dr. Iraqis without classrooms in the ‘Faculty of Economics, Garyounis University’ in Benghazi. The killing of the ‘DAASH’ terrorist named ‘Yousef Abdallah Bo Aerj Ahaara’ of the population of the area ‘Chiha al-Cherqah’. 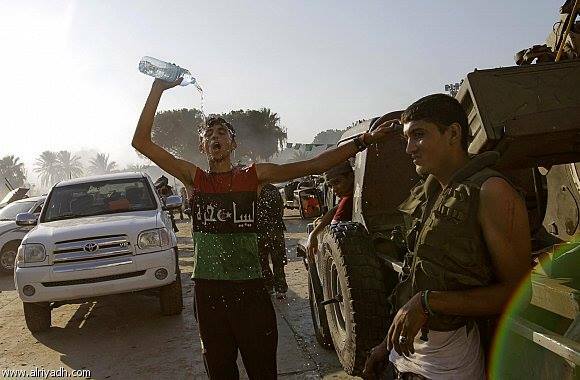 He was killed today in clashes with the militia at the center of ‘ABU SALIM al Fattaih’. 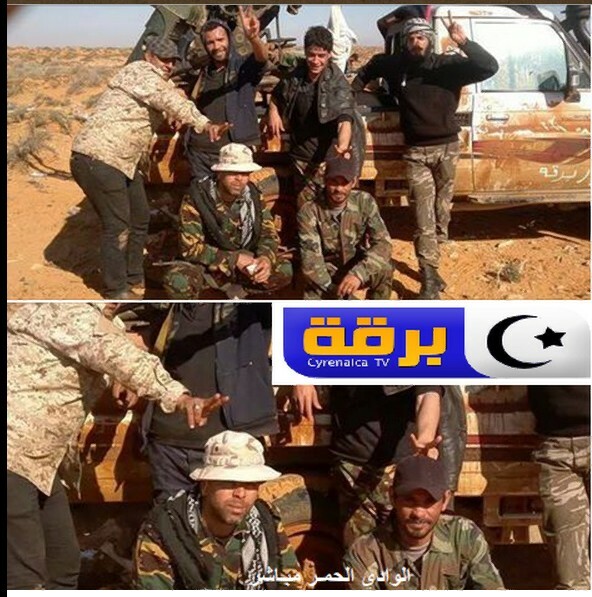 The killing of the ‘DAASH’ terrorist, aka ‘Ebou-Massab al-Mbar’ by Libya Army troops under General Hftar. ‘Mamed Bolqra Ahaara’, after suffering a serious injury. 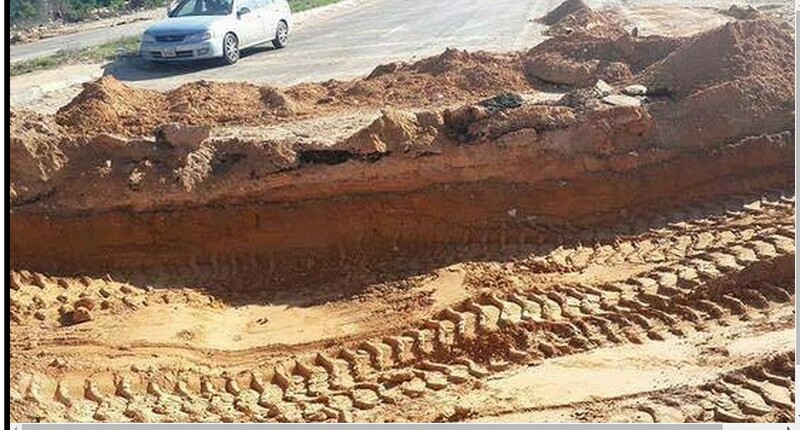 It is notified by the residents of Aqaba area west of Derna city, for the presence of a decomposing body and head without a body. 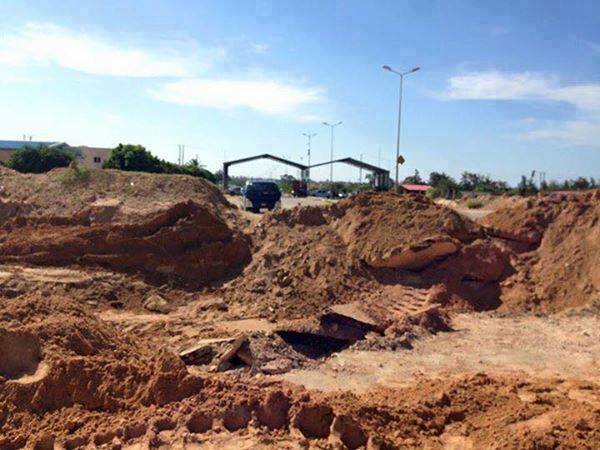 Demonstrators from the city of Tobruk, prevented vehicles transporting fuel from the fuel transfer to Benghazi, which led to congestion on fuel stations in Benghazi. ‘MAJLIS al-Nuwaab’ extends its term until the (so-called) ‘election’ of a new legislative authority in accordance with the declaration. 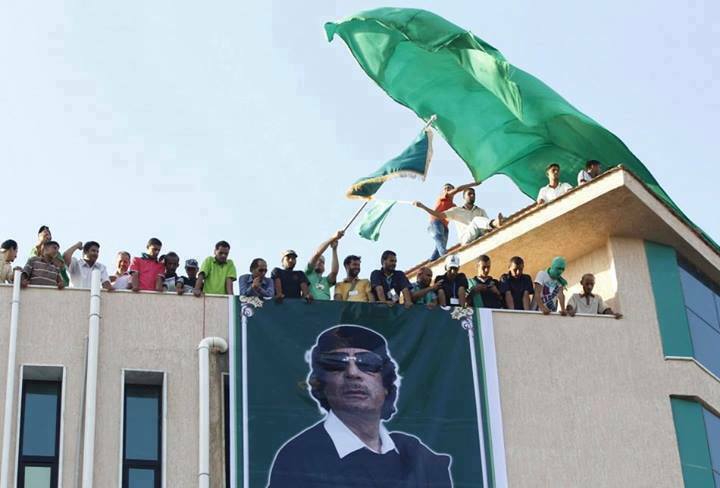 The TOBRUK ‘Majlis al-Nuwaab’ should just give the ‘authority’ back to the people, reinstating the Jamahiriya System, with ‘People’s Committees’ and ‘Popular Congresses’. وطبرق ‘مجلس النواب’ ينبغي أن مجرد إعطاء “السلطة” العودة إلى الشعب، وإعادة نظام الليبية، مع “اللجان الشعبية” و “المؤتمر الشعبي”. 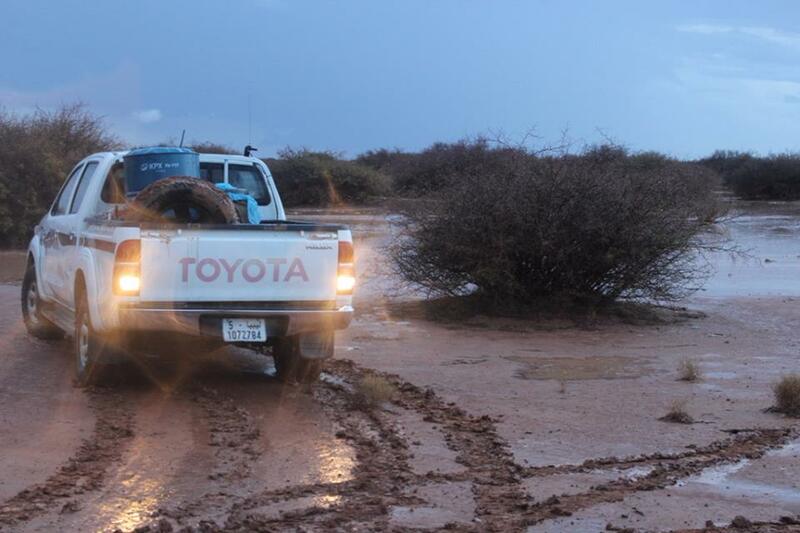 The Melcaat ‘Daash’ terrorist kidnapping 40 Tabaaan inventory to Mlepeshaa of al-Qoh Aiih of road Apunjam. 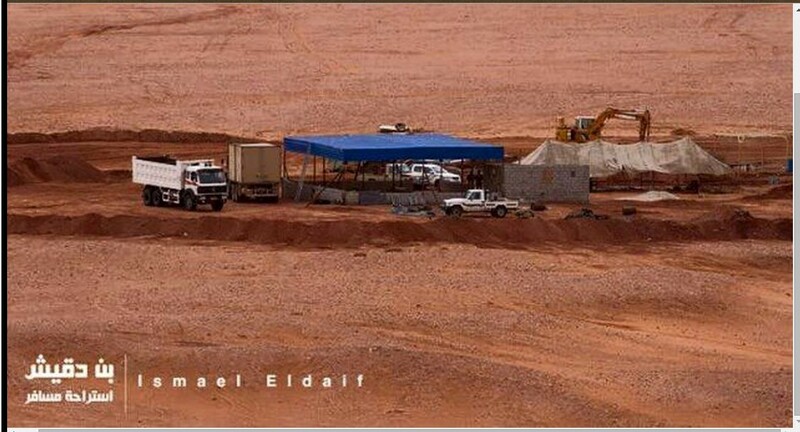 Now, clashes between the ‘MISURATA Brotherhood Militia of The third’ and ‘DAASH’ strength, in the way of the ‘project Allod’ in al-Jufra. 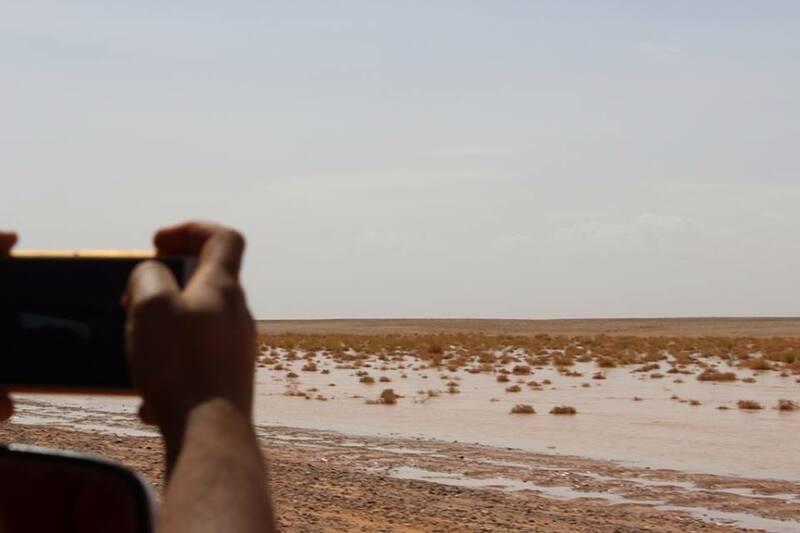 ‘Daash’ terrorist organization to publish pictures of the attack, which they have done upon the militias belonging to the ‘Brotherhood’s third power militia of Misrata convoy’ in the way of al-Jufra. 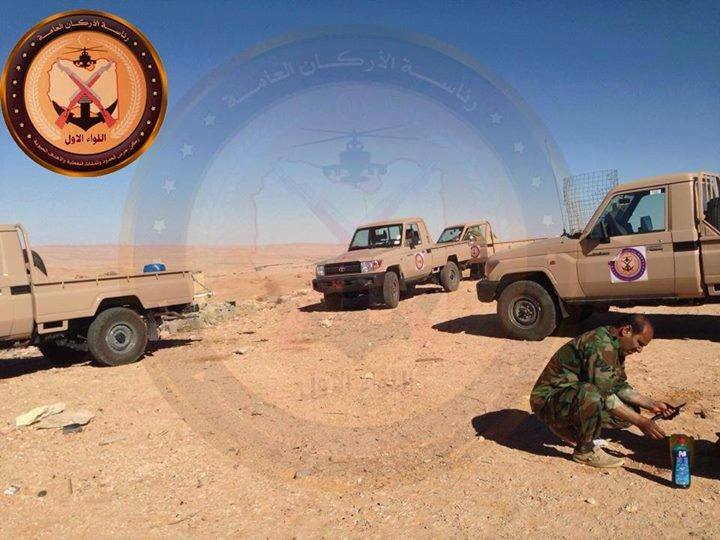 and cars al-Asaavchla between al-Lod and Odan project and Hun in al-Jufra. Two young men were kidnapped from the Tabou four days before, by unknown assailants on a street of Sabha. Their bodies were found last night near the sports arena. 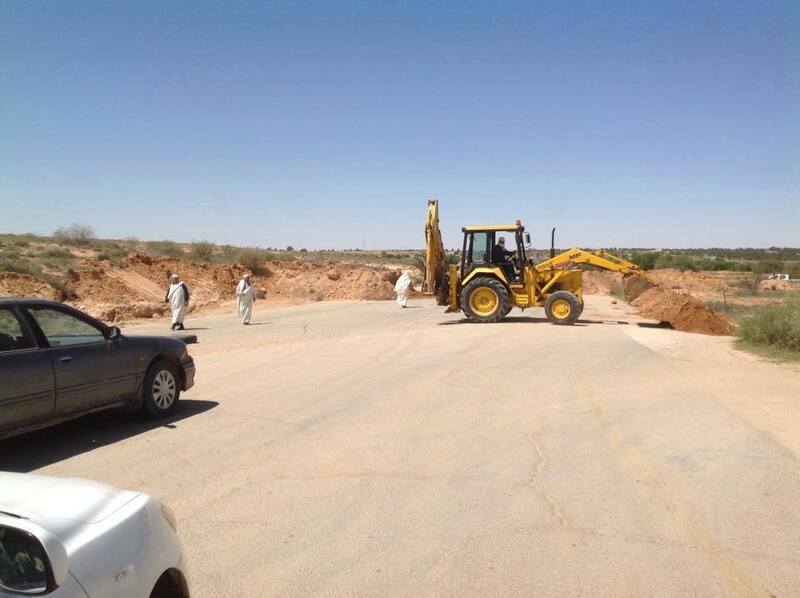 The return of the Communication Services Libyana network for the city of al-Kufra. 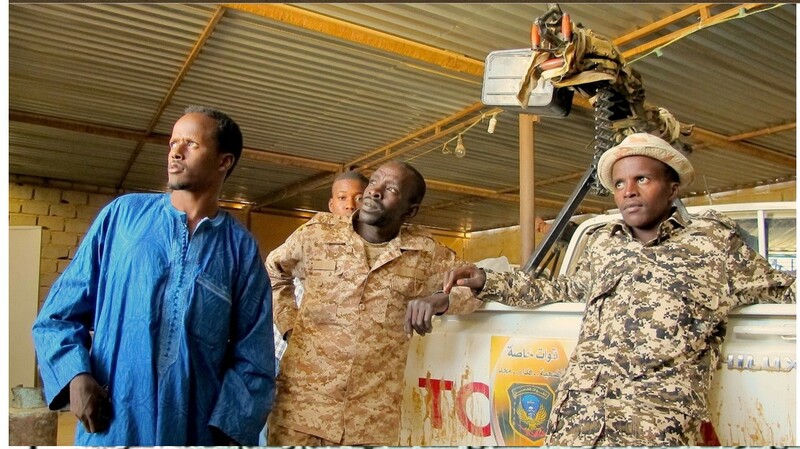 Since yesterday’s armed skirmishes between border guards and an ‘unknown force’ pushed into the Libyan territory b triangle (Lanai) border between Libya and Niger and Algeria, it is noteworthy that a ‘Battalion of 102 limits military force’ came out yesterday in support of our youth stationed there. Room Zintan operations a ajouté 3 nouvelles photos. And the young people have cleaned-up the well; and created a large awning with a public-collector (therapeutic basin). A kitchen and bathrooms were added, and they planted some trees in the exterior. 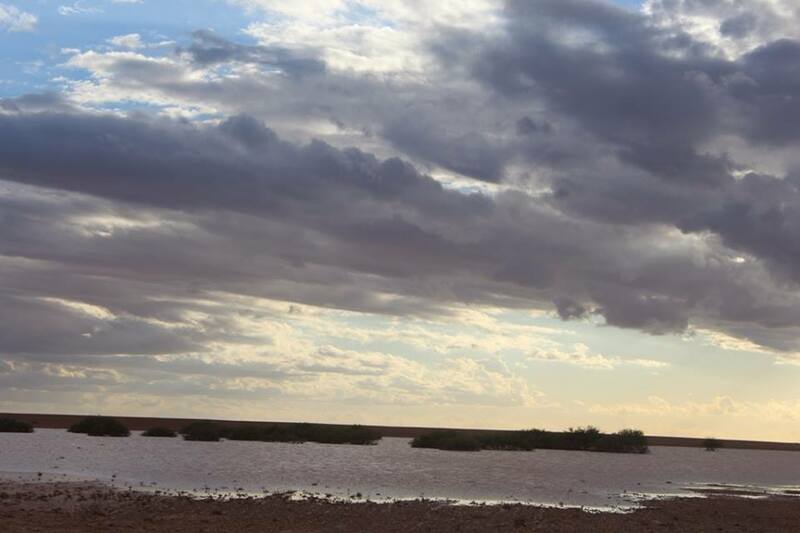 ‎غرفة عمليات الزنتان‎ a ajouté 3 nouvelles photos. ABDUL-RAHMAN SOWAHAILLI in America ! 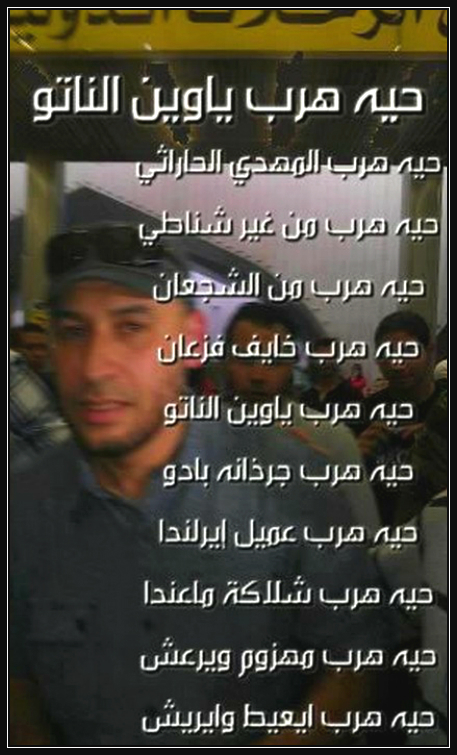 The release of Abdul-Rahman Sowahailli after being interrupted by police and the U.S. for some time, because of mistakes in his entry ‘cumpatriot’ visa to America. Russian court strikes re-awareness of some American leaders. 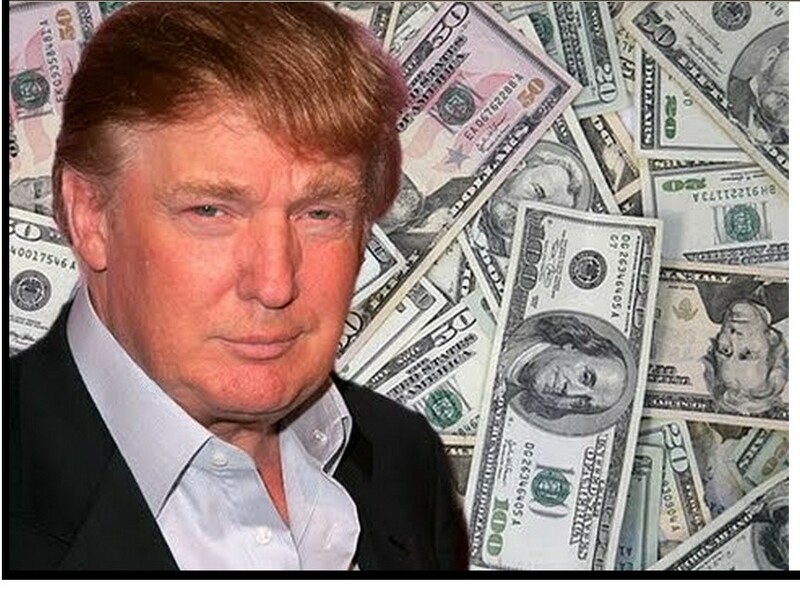 Where the likely Republican candidate for the US presidential election next Donald Trump said that the Middle East was to be more stable if under Saddam Hussein and Muammar al-Qathafi, in Iraq and Libya …. 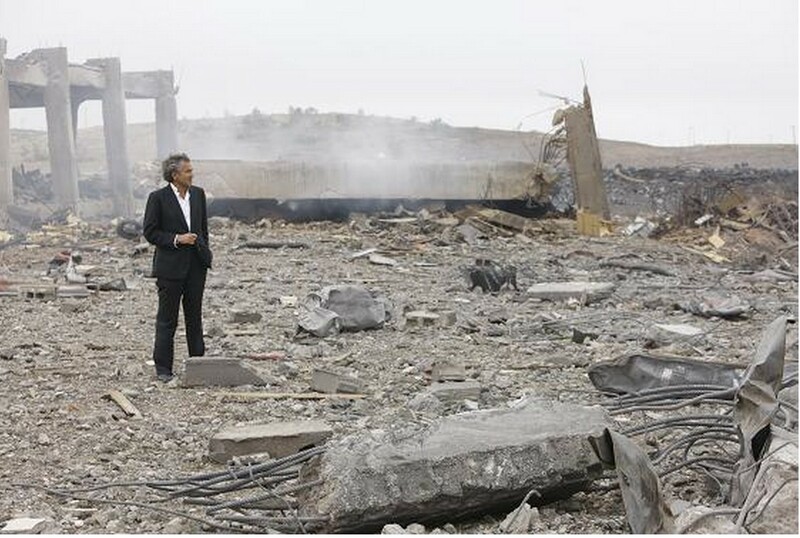 He said the station “The B. C.,” Saying: “you can understand that if you look to Libya .. Look what we’ve done to it. It’s a mess.” And compare the current efforts to topple Syrian President Bashar al-Assad from power, and the overthrow of al-Qathafi. Donald Trump said last week that the Syrian people may disolve into an even worse place, if Assad was ousted from power, expressing his support for Russian efforts to address the “Islamic state”. A new TV report for al-Masirah TV from inside al-Jabiri villages behind Al-Khuba city in Jizan. These bases and villages became under control of the ‘Yemeni Army’ and ‘Popular Committees’. 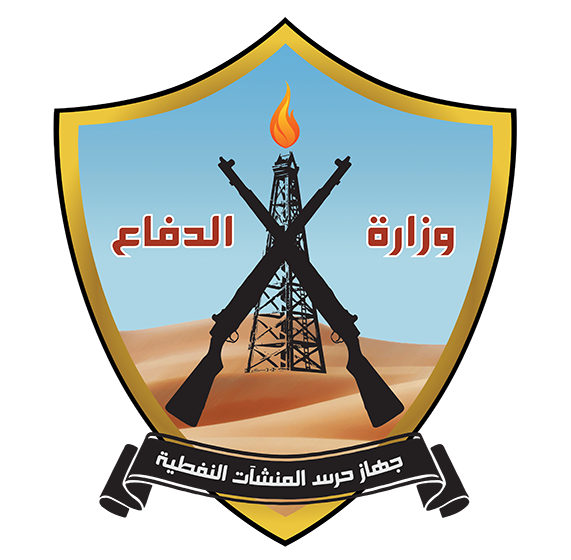 Some personal news says: ( There are some clashes inside Najran town at al-Balad area, Aba Al-Sa’od, al-Marata road, al-Malayeen street, al-Khudra market and near Turky palace ). 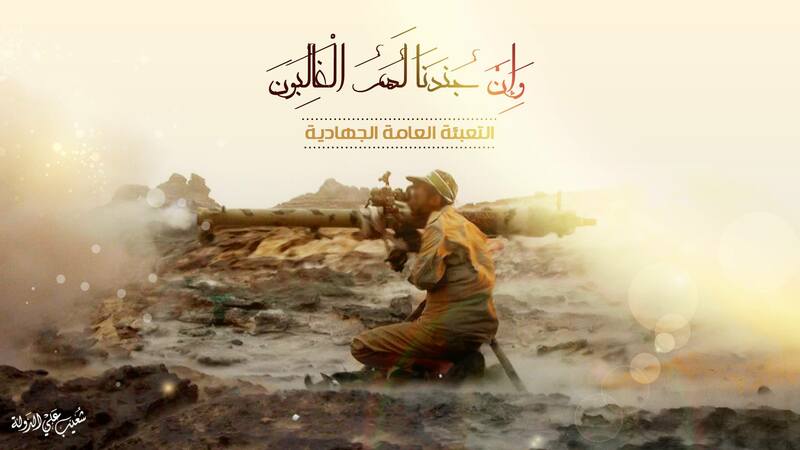 Sharaf Addeen al-Wainani a ajouté 2 nouvelles photos. in the previous two days. 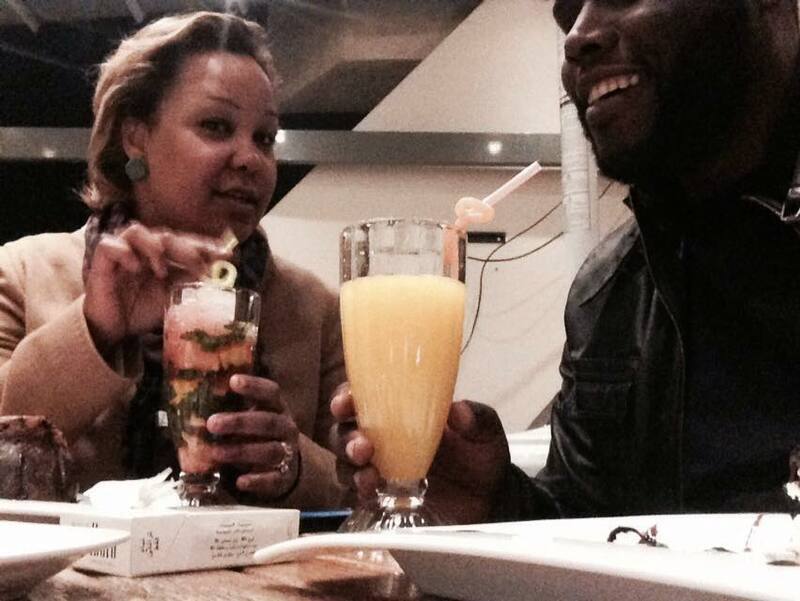 Haidar Akarar a ajouté 9 nouvelles photos. – Denouncing the crimes of the Saudi American aggression on Yemen. – In solidarity with ‪‎Mina‬ victims in ‪‎Mecca‬. ‘Yemeni Army’ and ‘Popular Committees’ take control of al-Seiwaidah and Matha’an villages behind al-Hathirah in Jizan. ” Among the captives who were handed over to Oman, an American military attache who was prevented from entering Sana’a airport, and he entered through Hadramout. (QUOTE FROM) The ‘Head of the Revolutionary Committee‘ in an interview with al-Mayadeen TV. 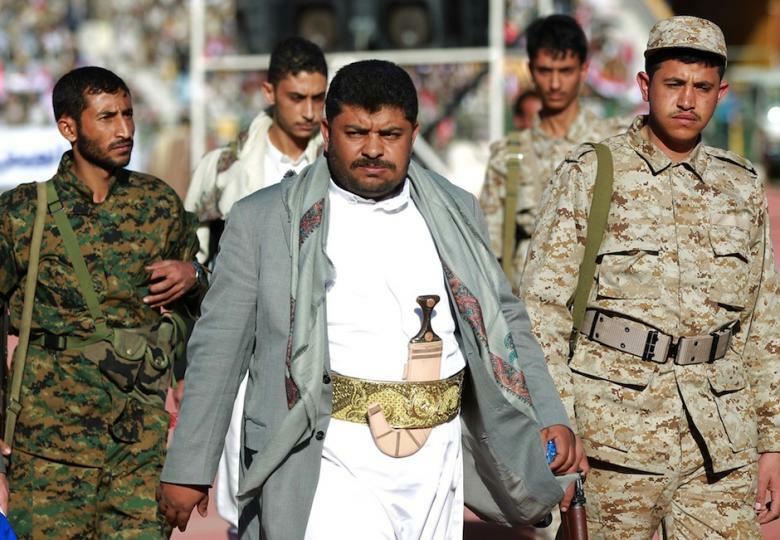 Mohammed Ali al-Houthi (Arabic: محمد علي الحوثي ) (born 1979) is a Yemeni political figure who is President of the Revolutionary Committee or Revolutionary . This is among some visits for many friendly countries, Iran, Russia, Latin America countries and Lebanon and some others. The envoys: the Yemeni Revolutionary committee with Sayyed Hassan Nasrallah. 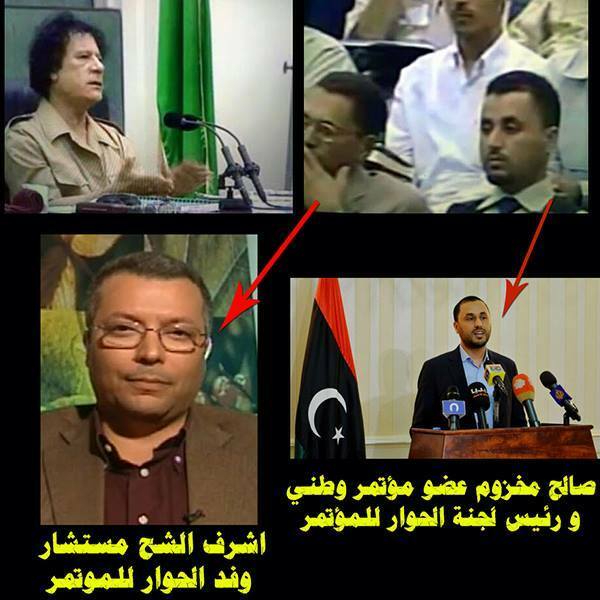 The one to the right of Sayyed Hassan (Left in the picture) is : Naif al-Qanis – a member of Ba’ath party in Yemen. The one to the left hand of Sayyed Hassan is : Mohammad al-maqaleh – a member of the socialist Party. 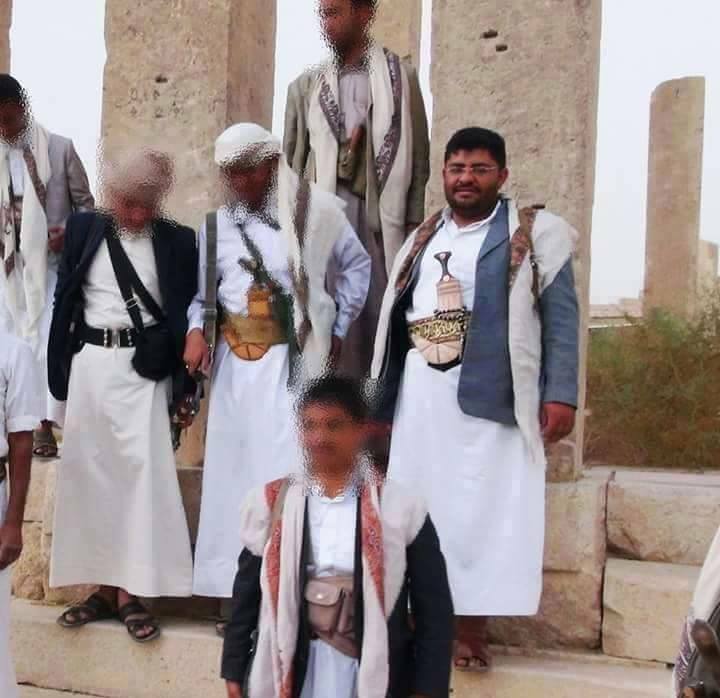 it is a popular revolution which belongs to different tribes and sects of the Yemeni people. 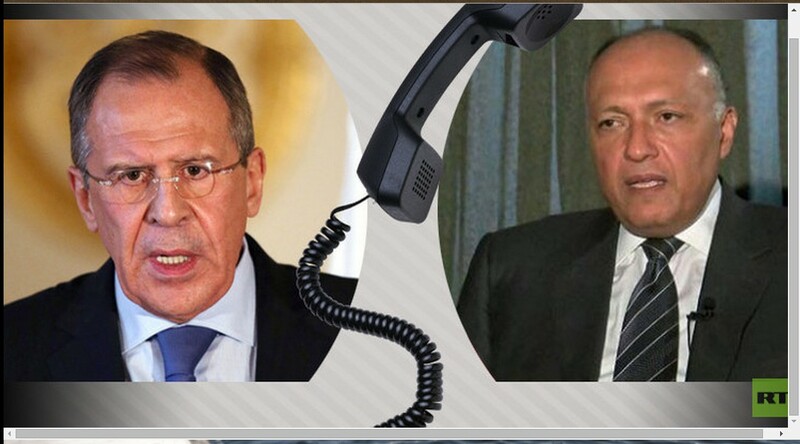 Russia offered a draft resolution to the Security Council called “the fight against terrorism in the Middle East and North Africa”. North Korea, China and Russia in joining the fight against ‘DAASH’. 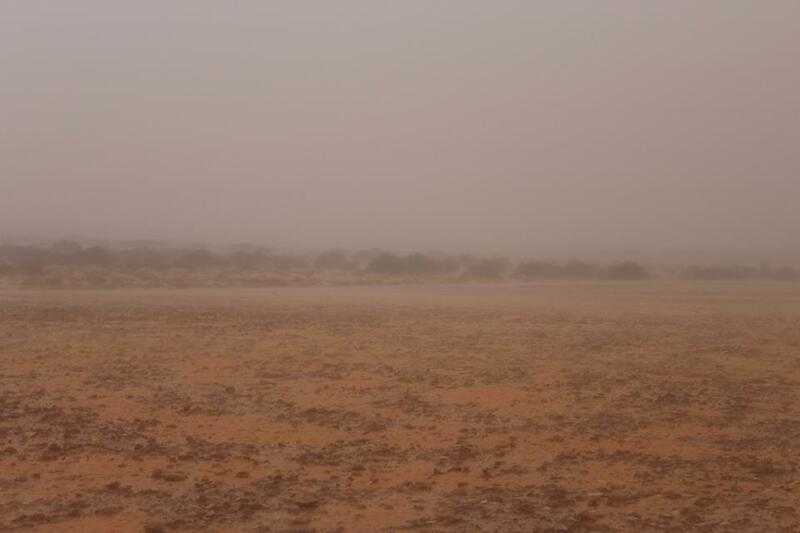 This entry was posted in Actualités et politique, History, Mankind and tagged al-JUFRA, bani walid, CENTRAL REGION, Cyrenaica, dirty MISURATA, EGYPT, Green Nafusa Western Mountains, Lebanon, RUSSIA, SOUTH LIBYA, TRIPOLI, Tunisia, USA, WESTERN REGION, Yemen. Bookmark the permalink.